How and why it all started? My wife and I started this company more than 10 years ago for one reason and one reason alone: to provide you with the same experience we’ve had, when enjoying our first gulet. My family and I have an active lifestyle. We love to explore new hidden places, experience new vistas and try the local cuisine – but most of all, we love to spend our vacation traveling from place to place. We are not one of those families who can stay in the same apartment or hotel room the entire vacation. We’ve been hooked on gulet cruises ever since our first cruise vacation taken in 2004. The very next year we opened for business and more than 10 years later, we are one of the biggest players in industry. We are proud of what we managed to accomplish and our entire family is looking forward to our future goals and plans. We expanded our business by surrounding ourselves with like-minded individuals, others who also love the Mediterranean and share our love for these types of holidays with people who share our passion of gulet cruises. Each of them contributes their respective area of expertise that makes Goolets one of the best in the business. That’s why we spend every day putting all our strength into providing our clients with the best possible vacations ever! We know from personal experience that renting a gulet can be quite tiresome. That’s simply because of the fact that it’s a difficult time trying to decide which gulet suits your needs. There’s just so many different vessels to choose from! We hope that we can also provide YOU with a pleasant experience and help you organize the most amazing holiday you’ve ever had. We copied this idea from them (but this is on the quiet!) We changed GULETS to GOOLETS and the rest is history. 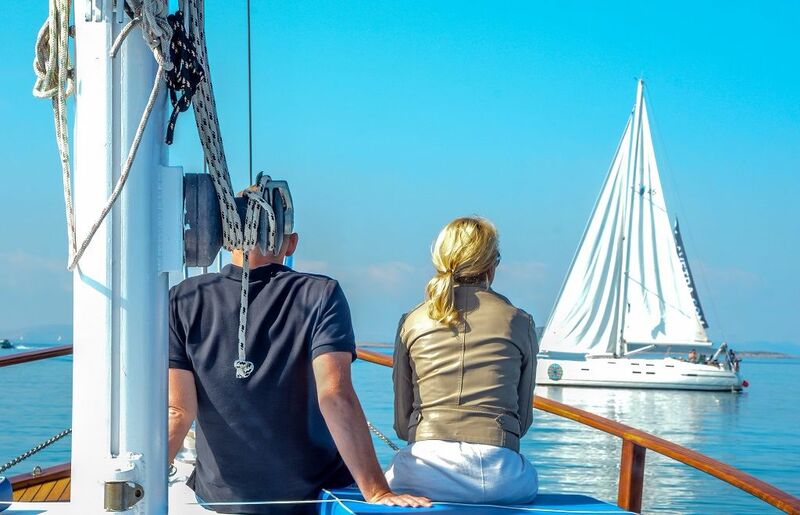 GOOLET cruise means planning your gulet cruise holidays in a way that you will have the best possible holiday ever – not leaving anything to chance. Alenka and Mitja are working hard that you will have the best holiday of your life.